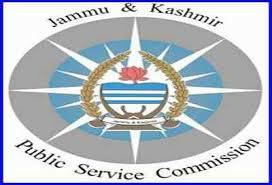 The Jammu and Kashmir Public Service Commission invites online application from eligible candidates of Jammu and Kashmir domicile for Combined Competitive (Preliminary) Examination 2016. The Candidates, who fulfill prescribed eligibility as per JKPSC recruitment notification, they can apply for the posts by last date July 22, 2016. The Examination will be held at different centres located at Anantnag, Baramulla, Doda, Jammu, Kargil, Leh, Rajouri and Srinagar districts for which candidates shall exercise an option. Candidates are advised to go through the instructions and all the eligibility conditions prescribed for the examination carefully before filling the online Application Form.